Josh Onomah has taken two big steps towards his development at Tottenham today, each as significant as the other. The club confirmed via their official website that the midfielder had signed a new contract and that secondly, he will be spending the season on loan at Aston Villa. 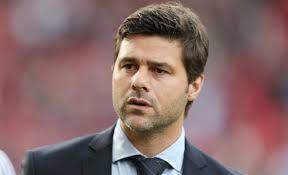 For Mauricio Pochettino, this is an unusual step. The Spurs boss does not usually loan out his young players, holding the mantra that if they’re good enough, they should be at the club being coached by him and his staff. If they’re not, they ought to be sold altogether. Onomah seems a special case. According to the Independent, Huddersfield, Brighton, Burnley, and Celtic all enquired about him at the start of the summer. Since then, his stock has only gone up having helped England’s under-20s to their extraordinary triumph at the World Cup. The newspaper claim that Spurs’ decision to finally let him go to Villa is down to the confusion surrounding his position. The 20-year-old sees him as a central midfielder, yet not only does Pochettino already boast Victor Wanyama, Mousa Dembele, Eric Dier, and Harry Winks in that position, he is still not convinced that is where Onomah best operates. He has therefore experimented with him on the wing, and the switch to Villa Park will give him an opportunity to show what he can do in the middle, albeit in the Championship. Onomah is widely thought of as one of Spurs’ most talented youngsters and that is against some stiff competition. If he can help Villa mount a promotion push, he may go some way towards convincing his manager that he’s ready to be the Lilywhites’ midfield engine.